Dr. Yasir Qadhi continues his commentary on the Beautiful Names and Attributes of Allah Almighty. 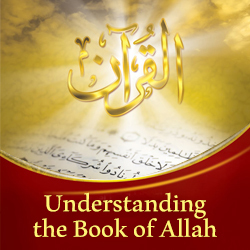 Al-Khaliq is the One who brings things into existence from a state of non-existence. The One who has the power to change things back and forth between the states of existing and non-existing. The Name Al-Bari’ is the One who sends new forms into existence. The One who manifests that which is in perfect harmony and proportion, without blemish or fault. You can watch this video of Dr. Yasir Qadhi to know more about the Names of Allah Al-Khaliq, Al-Bari’ and Al-Musawwir and how can we apply it in our acts of worship.